Night Manager is a shotgun magazine tube extension with an integral light and accessory mounting system. Night Manager boosts capacity by two extra shotshells and has an indexable Picatinny rail section to add a light or laser as needed. 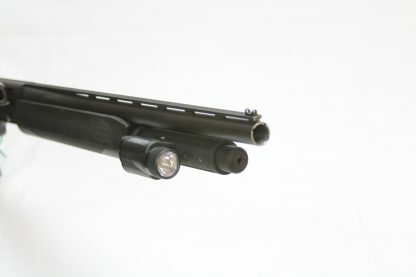 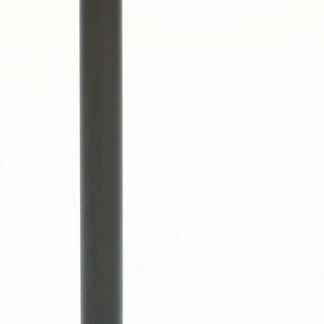 The Night Manager is an all steel construction magazine tube extension with an aluminum shroud that is drilled and tapped along the bottom and sides for mounting Picatinny rail sections. 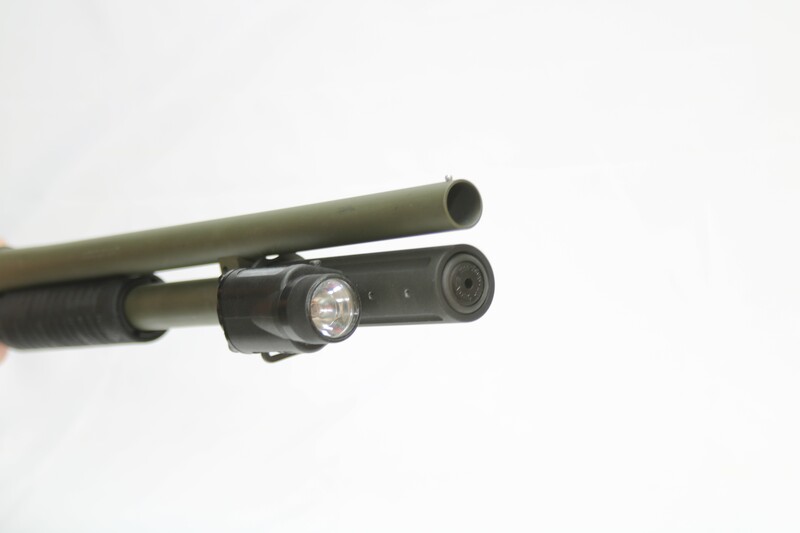 Its unique design allows the shroud to rotate to orient the attached Picatinny rails where needed and then uses an AR-15 castle nut to lock it down in the desired location. 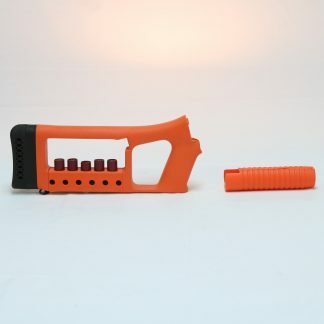 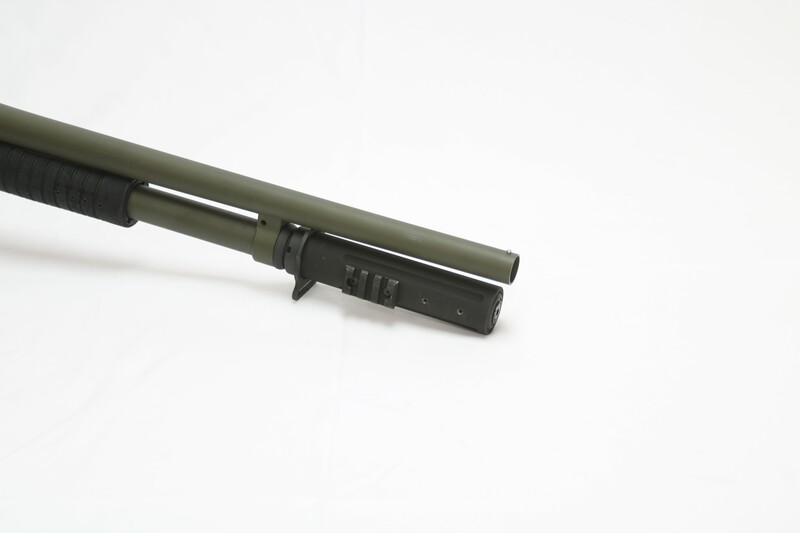 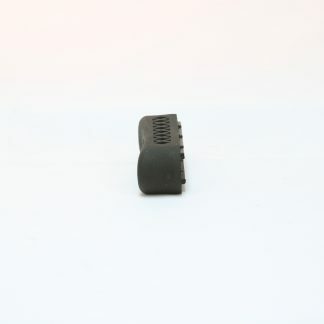 By mounting accessories on the magazine tube extension it allows use of the full length of the shotgun’s forend, which often can be short on law enforcement type models. 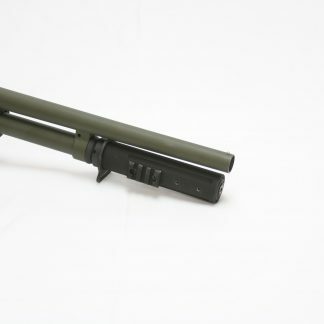 Night Manager is available for the Fabarm FP6, Benelli NOVA, Franchi 912 and 612 Franchi, H&R Excell auto 1871, Tri Star Cobra, Raptor .